May I use an inelegant expression? Interactive hypnotherapy cuts the crap! There. I’ve said it. Bright intelligent people can talk and talk and talk, and the subconscious doesn’t get a look in. That is why psychotherapy and analysis can take so long. Of course a gifted and intuitive psychotherapist may circumnavigate the conscious to access your deepest mind. However they may not. The two can however work together ― side by side. 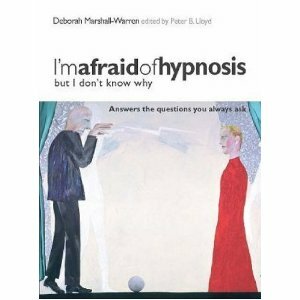 Interactive hypnotherapy supports you in fast tracking ‘stuck’ passages in your therapy. You can gain clarity and another perspective to view with myself, and then continue the dialogue with your psychotherapist, having (got through a chapter or two, or three of your life). Modern day clients want to participate in a therapy that is positive, specific, succinct, and that can effect results in three to five sessions. Let me help you fast track psychotherapy. • dress rehearsals in your given area of work, and in which you discover yourself to have ability, skill and a wonderful shine. You discover yourself, relieved, more conscious and free. If you have any questions or if you wish to take advantage of Deborah Marshall-Warren’s services please fill in the contact form or use the buttons below. If you are situated outside of London or Malta, Deborah offers you the opportunity of one-to-one sessions via video-linked Skype.